The inimitable Gary Inman moderated a panel during High Point Market that illustrates why intelligent programming is so important. The discussion he led, about personalizing hospitality, included panelists Don Griner, the chief innovation officer of DgDplus Hospitality Creative Consultants; Marilyn Lasecki, the senior interior design manager for Ritz-Carlton Hotels; Stacey Tiveron, the founder of Steelyard; Joni Vanderslice, the president of J. Banks Design; and Mark McMenamin, a senior editor for Interior Design magazine. 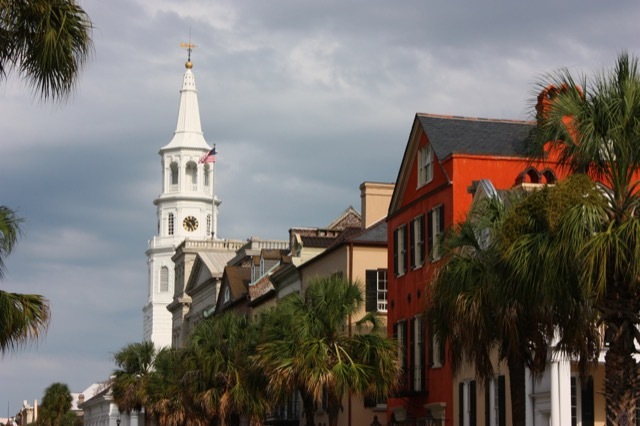 This image of Broad Street in Charleston exudes the southern charm of the coastal town. Image courtesy WikiMedia and Khanrak. 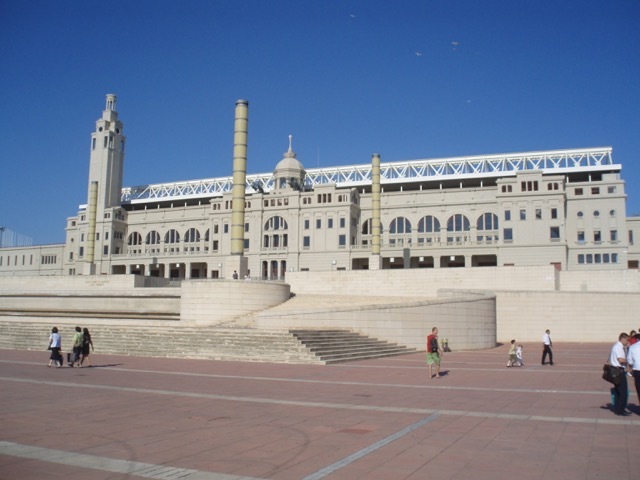 The Estadi Olímpic Lluís Companys stadium that served as the ceremonial backdrop for the 1992 Olympics in Barcelona. Image courtesy of WikiMedia. 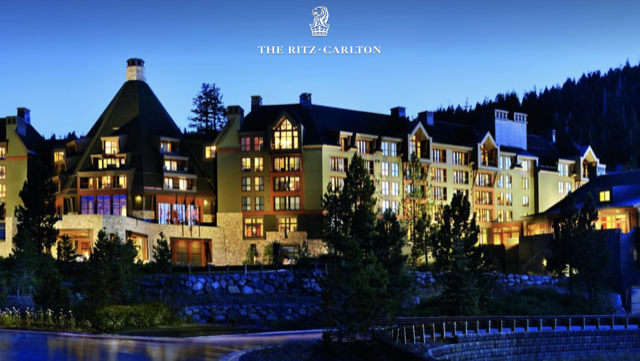 The Ritz-Carlton brand has long been known for its luxury experiences. View of Cliveden looking north from the Ring in the Parterre showing Terrace Pavilion and Clock Tower to the left with Lower Terrace and Borghese Balustrade below. Image courtesy WikiMedia and WyrdLight.com. The Mena House is one of the most unique hotels in Cairo surrounded by 40 acres of verdant green gardens in the shadows of the Great Pyramids of Giza in Cairo. 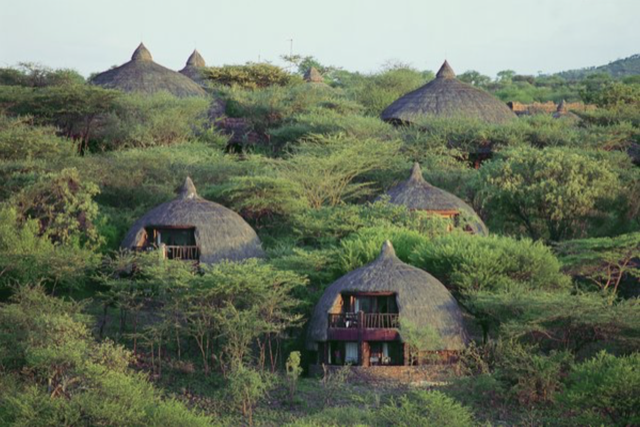 The Serena Serengeti Safari Lodge is a hospitable compound in its wilderness setting. The Cheeca Lodge and Spa in Islamorada is noted for blissful amenities. The Singita Lodge, a favored destination of the well-traveled, has ample local flavor. To end the evening, Gary thanked everyone for sharing their quest to create layered experiences. “We all live in a deadline-driven world and it’s great to see others who feel soulful specificity is as important as I do.” We celebrate the fact that the professionals who specialize in hospitality take the experience to heart when designing those destinations that we all hope to visit or long to return to once we’ve encountered them. 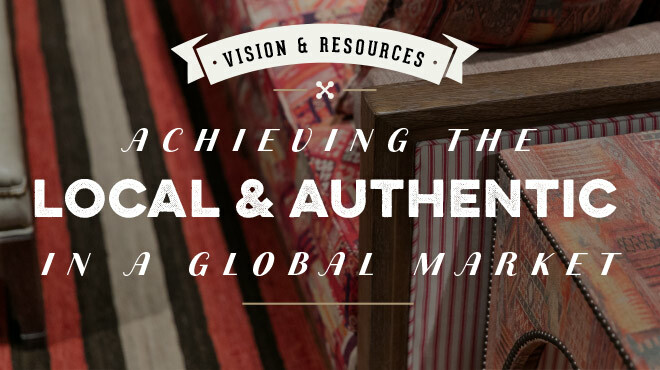 This post, Hospitality Designers Keep It Local, © Bruce Andrews Design, all rights reserved. Our furniture is now available through Nandina Home in Aiken, SC; Jalan Jalan in Miami, FL; Travis & Company in ADAC in Atlanta; and the Ellouise Abbott showroom in Dallas, TX. We will soon be showing in the Ellouise Abbott showroom in Houston and in the Michael-Cleary showroom in Chicago, IL.